Guten tag, Magooshers! From its ridiculously long words to different dialects, German sure is an interesting language. Also, Germany is one of the most powerful countries in Europe, and people who speak German and English are in a sweet spot to land a nice job overseas. So if you’ve taken some German in high school, and are planning to continue in college, AP German Language and Culture is the class for you! German music and dancing at their finest. It may be difficult to spell some German words, but the AP German Language and Culture Exam is as straight forward as AP Exams come. Over the next few paragraphs I will break down the exam, and offer tips so that you can do your best on exam day! If you get to the end and still have questions, make sure to check out the official College Board website for German Language and Culture. Note: This article accounts for all revisions made to the AP German Language and Culture Exam in Fall 2011. If researching test materials online, please only refer to those that appeared on the Spring 2012 Exam or later. You do not have to be 100% fluent to make a 5 on the AP German Language and Culture Exam. According to the College Board, the company that makes the exam, a student should have completed two or more years of German before taking AP German Language and Culture. Personally, I’d recommend three years, but in the end, it’s your call. Through these Course Themes, students in AP German Language and Culture are exposed to modern, relevant issues in 21st-century Germany. Of course, if you take this course, expect to hone your language skills, as well. The AP German Language and Culture Exam is three hours long, the same length as the majority of AP exams. 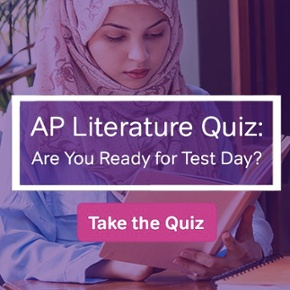 Though a bit longer than other AP language exams, every minute presents a different challenge. Let’s see what this exam is all about. BIG NOTE: The AP German Language and Culture Exam is administered on the computer. Besides studying German, getting ready for test day also means installing German language support on your home computer. Make sure to actually use it, too. In Part A, you are asked to read a variety of print materials such as literary texts, maps, tables, and advertisements. In Part B, you are asked to listen to a variety of audio texts. As you start Part B, the audio is paired with a supplementary text. To answer the questions, you will need to understand both the audio and text. In the second half of Part B, questions are based just off audio texts. All audio texts in Part B are played twice. Another thing to remember is that like all AP Exams, there is no penalty for guessing on the AP German Language and Culture Exam. That’s right; no points are deducted for incorrect answers. Why is that a good thing for you? Well, if there is a question or two where you get stuck, there is no shame in guessing and moving on. Just don’t leave any questions blank! Break is an important time during any AP Exam. Go to the bathroom, drink some water, and eat something. Even though you’re taking a test in German, I’d avoid any food that ends in –wurst. In Section II it pays to have participated in class activities. Not only will your language skills be stronger, you are less likely to choke if the exam throws you a curve ball. More than five years have passed since the AP German Language and Culture Exam has undergone a major revision. For you, that means that there are plenty of valid online resources to help you prepare for test day. Your teacher will likely bring old (but still relevant) exam questions on just about every one of your tests throughout the year. I wouldn’t be surprised if every one of your unit tests was a mini AP Exam. In Section I, Part A, be prepared to see instruction, prompts, texts, and questions all in German. Just like any other standardized test, read the questions first to familiarize yourself with what you need to keep an eye out for when reading the passage. Apply the same tips/tricks to Section I, Part B, but with one addition. As each audio clip plays only twice, have your pencil and scratch paper ready to write down important information. Even if you are a German master, exam stress might make you forget key details. I strongly advise you to take notes. Section II is a little bit of everything. In 85 minutes you are expected to read, listen, write, and speak. The longest prompt is the Persuasive Essay (55 minutes). To write your essay you must read a prompt, examine a table or graph, and listen to an audio piece twice. You have 15 minutes to examine this information. During the 40-minute writing period, you are expected to use information from all three sources in your essay. Like with any other essay, use your 15 minute planning time to its fullest by taking notes on scratch paper and writing an outline. Finally, if you want to take notes/outline in English, that’s fine. No one grades your scratch paper. 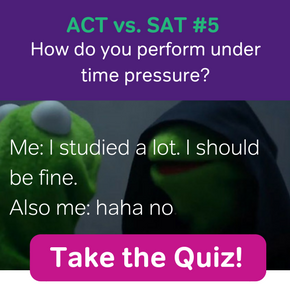 One last thing about time management: If you’re comfortable with time management on the ACT/SAT, you should have little to no trouble with the AP German Language and Culture Exam. The College Board will release AP German Language and Culture scores in early July. Yep, one day in the middle of summer you’ll get an email saying that your scores are ready on your College Board account. For those of you who earn a 4 or 5, wunderbar! You would come likely come to freshman year with some college credit and the ability to jump right into a second year (or second semester, depending on the generosity of your future college) German language course. If you earn a 3 or less, don’t fret. After all, foreign languages are tough. Besides, many colleges offer language placement tests for matriculating students. You might have another shot to get into a higher level German course. Don’t be like this young man if exam day isn’t your finest moment. Even if you find yourself in German 101, it is still an amazing opportunity to refresh old material. If German is truly your passion, you will view the experience as a gift rather than a hindrance. Best of luck in your German endeavors, Magooshers. Wir sehen uns!